SKU: 3457. Categories: Biographies, Church History, Damaged Stock. 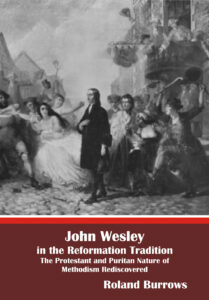 This previously rare three volume work covers the period from the later Puritan age through the Great Awakening and ohttps://www.tentmaker.org.uk/wp-admin/post.php?post=63&action=editn to the early years of the modern missionary movement in which both authors played a significant part. It gives the reasons and history of dissent, details of the churches, training colleges and biographies of key individuals. Bogue and Bennet’s History of the Dissenters is a treasury of information on the Nonconformist denominations —Independent, Baptist and Presbyterian — in England in their years of decline and recovery. All the main events and lives are dealt with, together with the theological movements which shaped the course of history. For insight, interest and accuracy we know of nothing to match these volumes. I am delighted to hear of their republication. — Iain H Murray. In 1812 David Bogue and James Bennett published their four volume History of Dissenters from 1688 to 1808. In 1833 a second edition was published, in which James Bennett reduced the work to two volumes (two thirds of the original text was, in fact, retained). Reduction was achieved by removing sections that did not strictly follow the book’s theme or had gone into unnecessary detail. 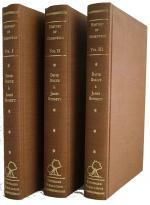 In 1839 James Bennett added a third volume, bringing the history up to date. The book is a mine of information. Subjects covered include the history of particular dissenting denominations, accounts of religious liberty, and the history of the seminaries. 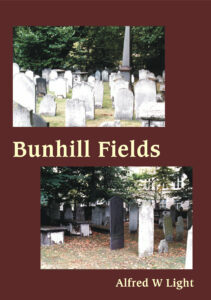 The work also recounts the lives of eminent Dissenters and includes a great deal omitted by other historians. The history is close to its sources of information. The authors’ reliability, integrity and lack of bias are clear. They describe the ‘excellencies’ of the Methodists, as well as their deficiencies. One feature, however, separates their work from other accounts of church history — they surveyed their subject from a spiritual perspective. ‘While these unedifying details fill the ecclesiastical page, the influence of the gospel in converting sinners to God, the efficacy of preaching, the ardent devotions of the faithful, the persevering labours of zealous ministers, the patient suffering of believers, and their active efforts for the propagation of the truth, pass unnoticed’ (Vol. 1 p.286). Thus the history deals most helpfully with the spiritual state of the Dissenters. This is its most valuable aspect. This approach leads to some surprising conclusions, especially for the period 1688-1714. 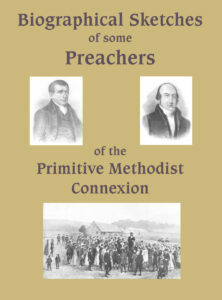 We read: ‘In the whole history of the Christian church, it would be difficult to find so great a number of ministers in any one religious community, by whom the principles usually denominated ‘evangelical’ were generally preached … the Nonconformists, whose faith had stood the test of persecution, and who, one after another, finished their course during this period … all unite to confirm … their soundness in the faith and their devotedness to Christ’ (Vol. 1 p. 287). The Dissenters’ conduct was noteworthy. They were careful to maintain family religion, observance of the Lord’s Day and separation from the world: ‘If it should be asked what peculiar excellence shall be assigned to the Dissenters, without hesitation we answer, “their attention to the secret exercises of devotion”. ‘Morning and evening, they had their seasons of retirement; and according to their degrees of leisure of piety, half an hour, an hour, or more was employed in reading the Scriptures, in perusing the most spiritual writings, chiefly of the Puritans and Nonconformists, in meditation, in self-examination, and in prayer’ (Vol. 1 p. 291). 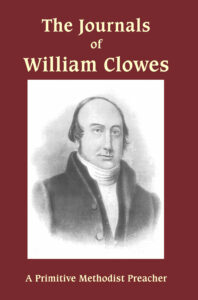 ‘If, from the representation which has been given, it should be supposed that the cause of dissent was losing ground, the inference will not be just … There was a great multitude of flourishing congregations in most parts of the country, which were increasing with a steady progress’ (Vol. 2 pp. 181-182). If this reviewer was asked to select a library of twelve books that a young minister should acquire, these three volumes would be included. 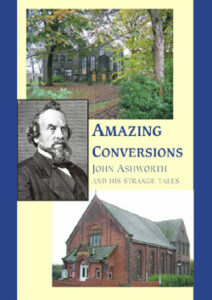 They are the most reliable, informative and spiritually stimulating of any church history that he has ever read. This edition is in hardback. The publishers are to be thanked for their excellent job. I trust that many will take the first opportunity to obtain it and go through its pages carefully.